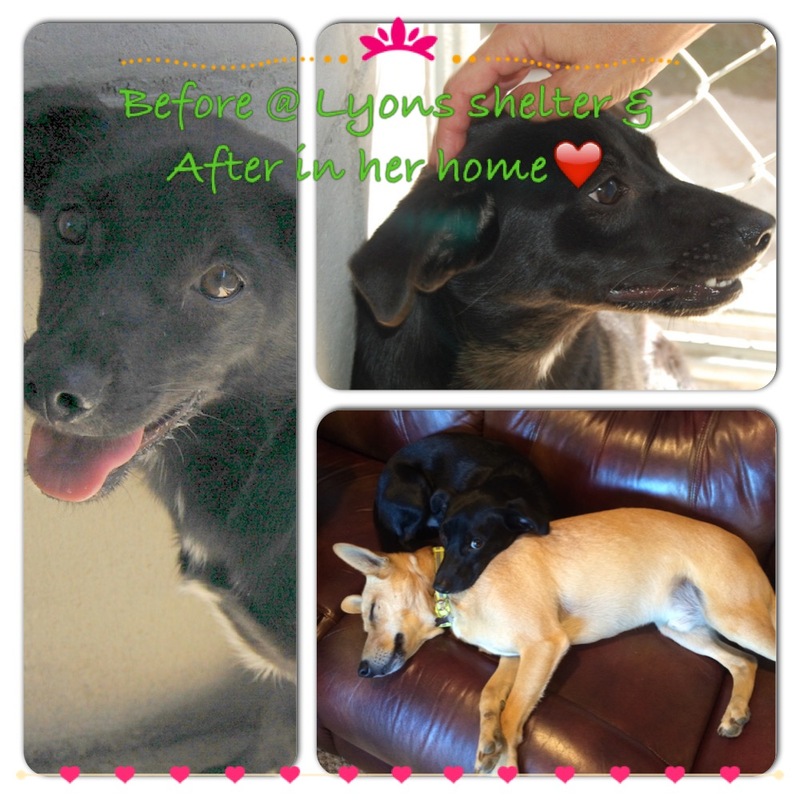 Shiloh was a scared and timid girl at Lyons shelter in May 2015. She would let volunteers pet her but would not come out of her igloo for a while. She was rescued at the end of May by K9 Lifesavers. She was fostered then transported up to K9. After a little foster time w K9, Shiloh found her forever home in September and is doing great! Shilohs been great, even with Tom’s dad here since Thurs. Family/company picnic yesterday, busy w/e. She’s warming up to us, 2 neighbors and Toms dad and playing with Crash and Crash’s bestie Stella.